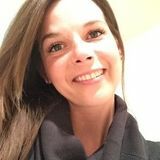 Want to connect with Meaghan? My name is Meaghan, I am 29 years old, and I am interested in being a nanny for your family. I am a very calm, and kind natured person. I have babysat often when I was younger, and my last living situation I was a live in nanny two girls 6 & 11. Getting them up and ready for school, breakfast lunch and snacks, homework, reading time, playtime at the local park, outings to the mall and a pumpkin patch. Occasionally bath and bedtime as well. I also have two godchildren that I am very close with. They just turned 12. My work background is mainly in the restaurant industry. I am a caterer, so cooking and cleaning come second nature to me. My mum was recently diagnosed with onset dementia (or Alzheimer's) and although she is now in a long term care home, I was her caregiver for a year before hand. This included all meals/snacks, cleaning, bathing, helping her use the bathroom, doctors appointments/hospital stays, medication administration. I have a very big heart, with a lot to offer, and I adore kids, and helping anyone as much as I can. I am trustworthy and honest, and love to learn about different family dynamics. I am a huge pet lover as well, I have a sweet 5 year old boxer mix named Chevy. More than happy to help out with family pets; feeding, walking, playtime, cuddles! Full time/ Part Time live out Nanny! Even available for casual date nights!